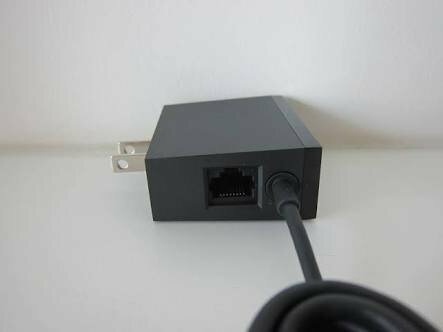 Has anybody ever tried to stream supersport using one of these? If so I'd love one as well. This is the only way we are currently watching anything on DSTV, works great. Much better than the Samsung TV app which they recently released. Only issues I've had that every now and then the quality is bad, but that is because the DSTV streaming service is probably overloaded, since the same issue is seen when streaming via the PC. But 90% of the time it is good. I just bought the Chromecast Ultra to upgrade my 1st gen Chromecast. Figured it was not a bad deal for some future proofing, and the big feature that is not so well noted or marketed, is that it comes with a wall wart power supply that can take an Ethernet cable on the side. It is basically a OTG USB to LAN adaptor built into the power source. This special power supply is usually an extra accessory you have to buy and is difficult to get hold of at a reasonable price. So now my CC is connected via LAN instead of WiFi to my network and the startup and load times of cast apps are notably faster. And much more reliable. (I have a 2nd generation CC as well to make a fair comparisson and over AC wifi they perform identical on a normal full HD 1080p TV, but the Ultra supports 4K streaming as well). Sometimes my phone would loose connection to the CC for a bit and loose remote control, or my phone won't find the CC the first time I want to cast from an app. One app that is notorious to do this is NetFlix, and that was really frustrating. That issue disappeard completely with the LAN connection. So if you want to use a more reliable LAN connection, get the Ultra. Well the one from Takealot or GeeWiz at least, as they specifically state this feature on the product page. Highly reccomended. It makes up more than the higher price of the Ultra vs the normal 2nd generation HDMI version. But if you can only use WiFi and only 1080p for now, don't get the Ultra, its the same thing as the 2nd gen.
And I can also say it is the Chromecast is the one device that I use the most, have the least issues with, and provides incredible value to me and I reccomended them with total confidence! Just take note, I had one CC Audio from New Zealand that died within a week. So buying local has it's benefits. But I can also say that I have 7 of them and all the models that exist, all working for years now, some for 3+ years. So I think they are pretty reliable. All of them stay up to date automatically. Thanks Chris, so does this one from Geewiz come with the LAN adapter mentioned by Wietsche? There are websites listing the compatible USB LAN adaptors that will work with the drivers that are already on all the Chromecast versions. I considered doing that, and it worked out to be similarly priced. So for me the Ultra with future 4K support and the LAN adaptor made sense to buy. Perhaps a silly question, can I plug this Chromecast into my HT amp rather than the TV? My amp doesn't have ARC. Yep, use mine in the back of my Denon AVR. No problems. I have not found anything so far that did not work with it that had a HDMI input port.